This Sunday’s bike club ride was yet another celebrity grave tour. 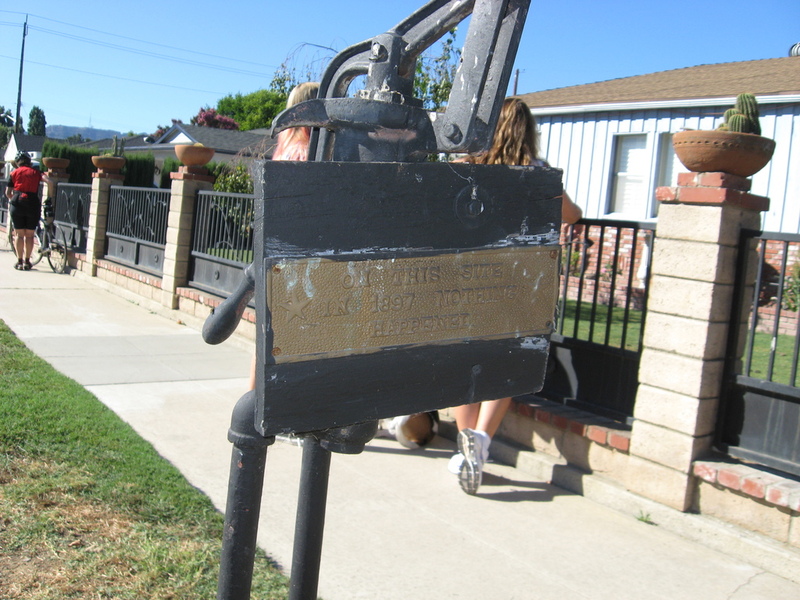 Back in February, we’d taken a ride to East L.A. to visit the grave of Lincoln Perry, who, as “Stepin Fetchit“, was the first black movie star. So today we were going to North Hollywood to see Willie Best and Mantan Moreland, who were the other two earliest black movie stars. 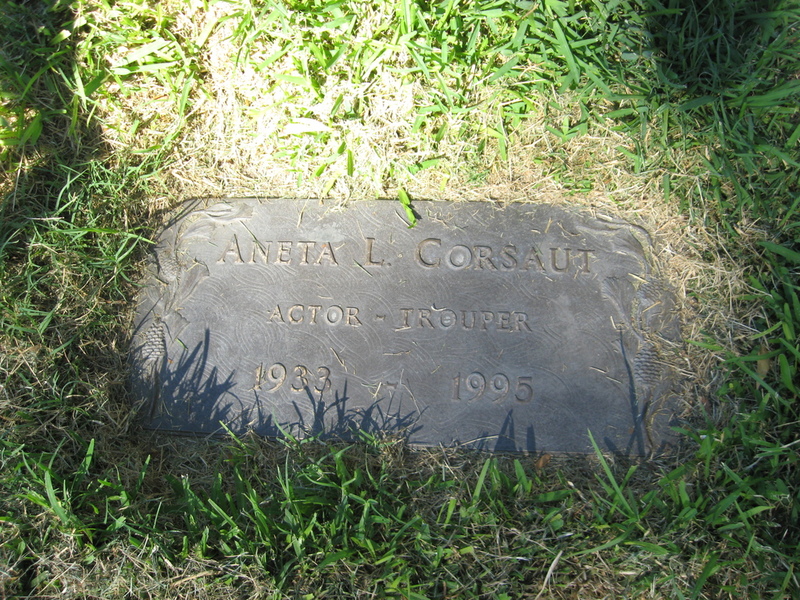 And as an extra bonus, we got to visit Aneta Corsaut, who was on “The Andy Griffith Show”, but who I always remember as Steve McQueen’s girlfriend in “The Blob“. 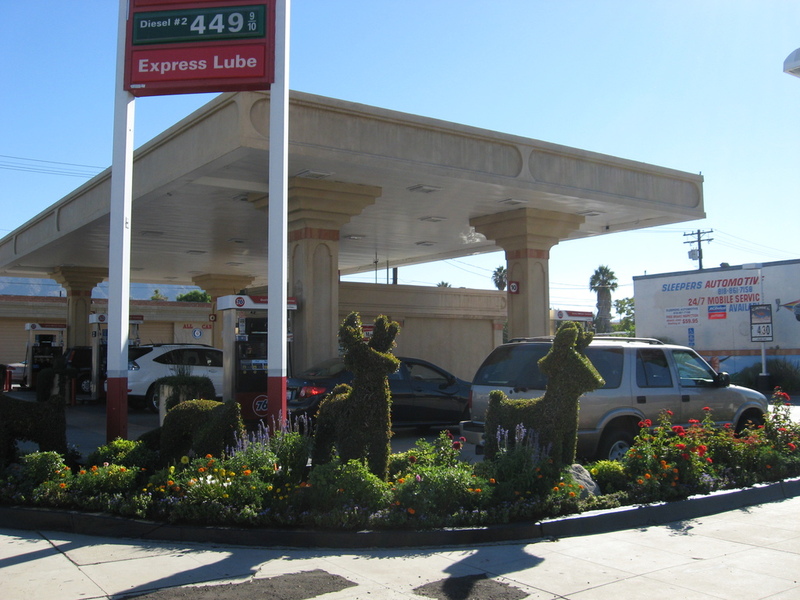 On the way out, we found some more topiary in Burbank at Alameda and Victory. I’ll have to add them to the Topiary Tour West route for the future. 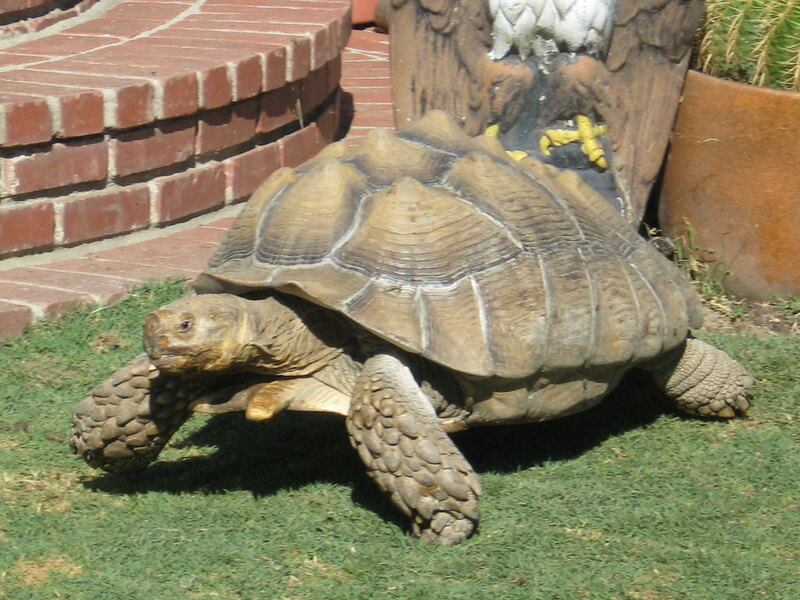 We also stopped off at the house in Burbank with the giant desert tortoises in the yard. They were very active today. I was glad the camera has a ‘fast action’ mode on it. 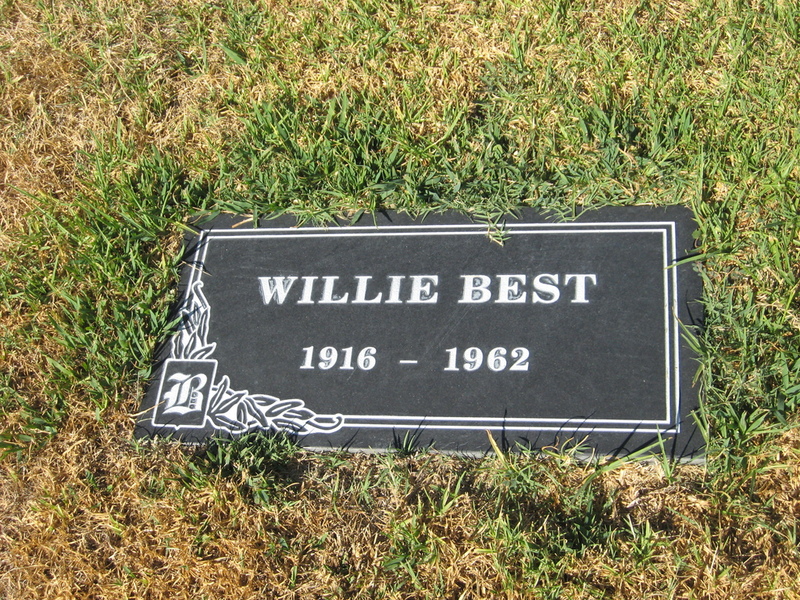 When we got to the cemetery, we found Willie Best on the way in. His stone is new, since he was unmarked for many years until Scott Michaels and the Findadeath.com crew arranged to get a stone made for him. 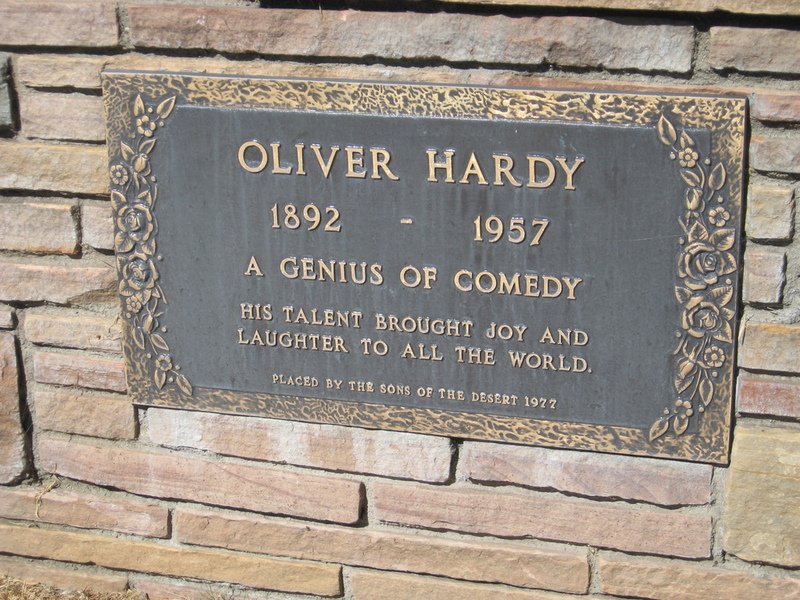 He is buried close by to Oliver Hardy. 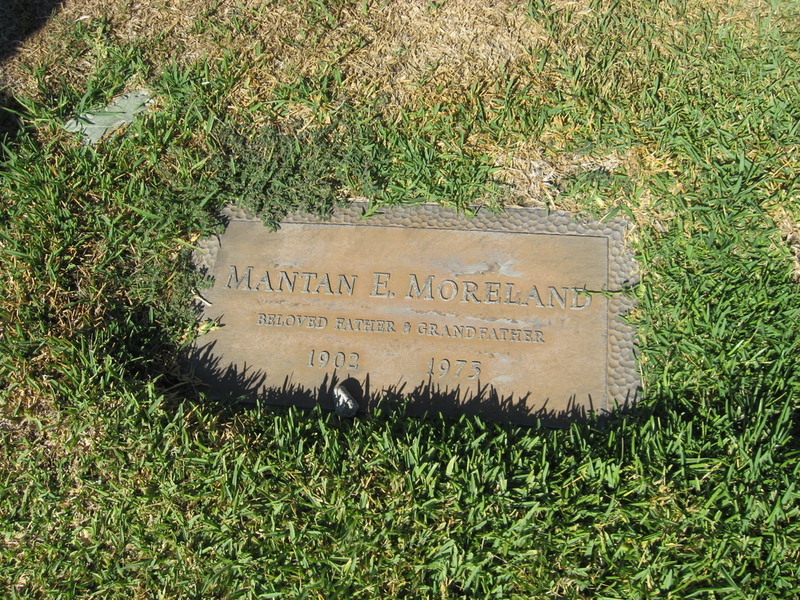 Mantan Moreland and Aneta Corsaut are close together in the far back of the cemetery. After the cemetery stop, we rode down to Riverside Drive to stop at Priscilla’s Coffee. On the way we saw a sign-painter-fail. 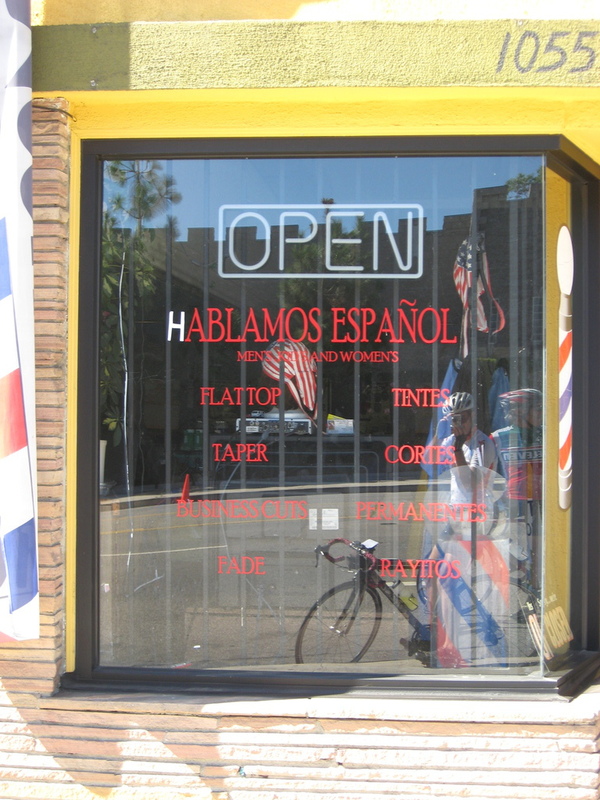 The painter had made the sign say, “ABLAMOS ESPAÑOL”, so the had to just paste on the “H” in front of it. 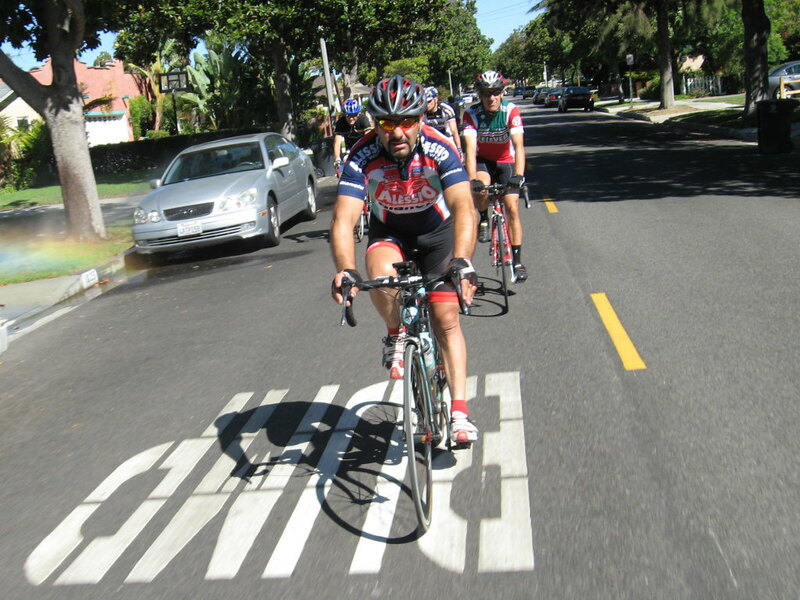 The route back went down the L.A. River bike path, and then home by way of South Pasadena. It was a pleasant ride. Last night, I was at home when my phone chirped at me. It was a message and a picture from Morgan from work. 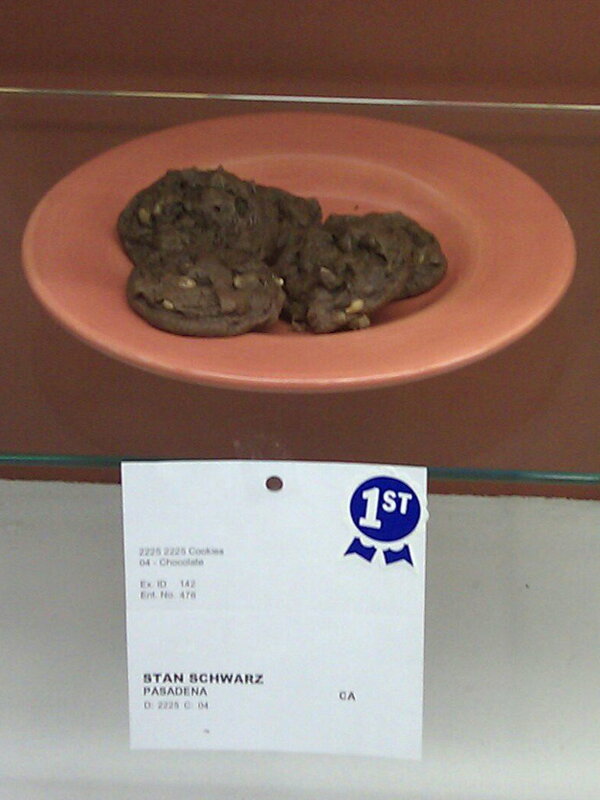 She had gone to the L.A. County Fair and sent me pictures showing my cookies. The very ones I’d brought in last Tuesday. Apparently, all that development and all those endless test batches I baked paid off. 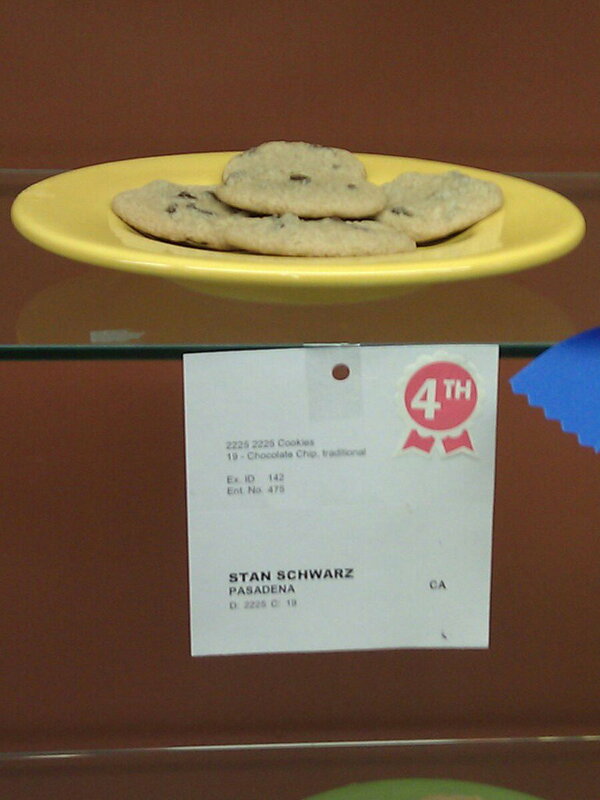 My traditional chocolate chip cookies were 4th in their category, and my chocolate cookies took 1st place.